If you like music, you will LOVE this book about a tempestuous young singer and the band who launched her to stardom. The structure and multiple POVs give it the feel of a Rolling Stone interview. Very unique, very well written, and so good I immediately went to the store and grabbed THE SEVEN HUSBANDS OF EVELYN HUGO. Taylor Jenkins Reid is that good. 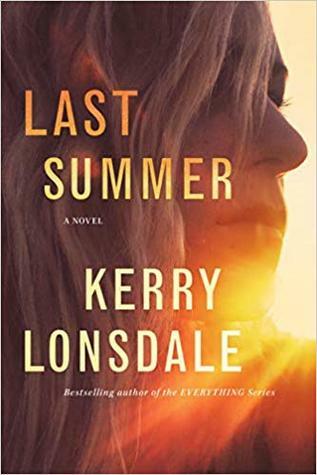 Last Summer is utterly captivating and impossible to put down, so strap yourself in for a ride. In addition to being a superb writer, Kerry Lonsdale has a talent for creating complex characters who wrestle with very real situations. Last Summer is her best yet, a sly suspense coupled with sizzling romance and unending twists. Lonsdale should be on every reader’s radar. There’s a reason this book has been burning up the bestseller lists. It’s lovely. So atmospheric, so gorgeously written. An environmental mysterious love story that will break your heart and keep you guessing, it has all the lushness of the marsh at its center. Go forth and read it now, because the movie is sure to be a massive hit. This book spoke to me on a number of levels. I grew up in the mountains, well away from the nearest town, and understand the joy and pain of isolation. But… that’s where our similarities end. This is a fascinating look at the lengths some people have to go to in order to become educated. 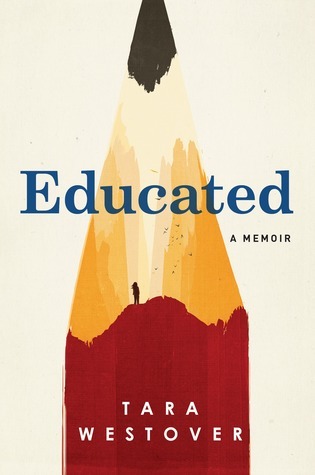 Beautifully written, Tara Westover has a lovely command of language. Heartbreaking, inspiring, and frighteningly real. This story is wonderful, tricky, intense, and without one lagging moment. It’s a superb second book in the series. I can’t wait for next September for the third book! A solid entry in the domestic suspense genre. The structure is excellent, as is the use of second person POV, which is a very difficult thing. The ending will have you talking! What if you came home to find a stranger living inside your house? An outstanding, ever-twisting, surprise-filled" psychological drama (Publishers Weekly, starred review), in the tradition of Shari Lapena and Liane Moriarty, from an Edgar- and Thriller Award-nominated author. Can you imagine the nightmare of a stranger taking over your house? The terror you would feel? Benedict turns her unique voice in suspense to this elegant scary mystery, where nothing is as it seems and one woman's truth is shattered by the hidden secrets of her past. This amazing historical suspense is now available in paperback! In this electrifying psychological thriller, a high-powered sociopath meets his reckoning when he’s accused of the brutal murder of his mistress. Sizzles with sinister madness and incessant tension right to the last page. I’ve now both read and listened to this beautifully compiled work of art. Twyla Tharp takes an intellectual approach to building habits, with a deep dive into the history of art and its greatest creators. You must read it. Do the exercises. See what comes of your newfound enlightenment. Let your mind dance. You won’t regret it. Need more recommendations? Check out my list of 2017 books and 2018 books.